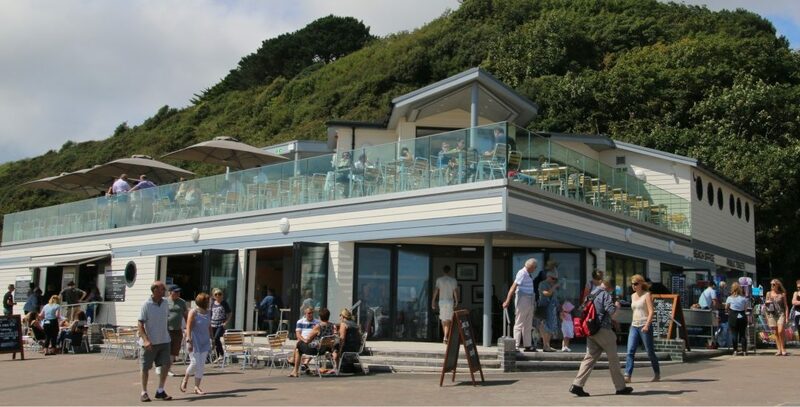 Studio Four were originally approached by Reside Construction to assist them in progressing the design and construction of a new beachfront café at Durley Chine. Rob’s Event Catering, who already operated the kiosk at the Chine, had won Bournemouth Borough Council’s competition to develop and operate a new facility at this busy location. Working closely with these clients, a comprehensive scheme including café, takeaway, kiosk, first floor terrace bar, beach shop, beach terrace, public conveniences and Council Beach Office, all within a Nautical theme, was successfully submitted for Planning permission, and 3-Dimages were produced for public consultation and the media. Client illness postponed the development, but the Council still wished to proceed with the scheme as part of their seafront improvement works and decided to appoint Studio Four to take the scheme through Building Regulations and construction using their own personnel. The building opened in the summer of 2015, with Rob’s Event Catering back in operation.